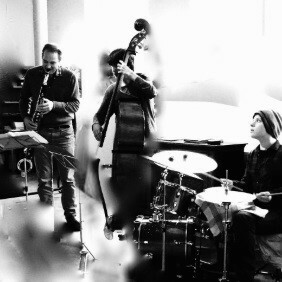 Triofolio play original music that crosses between a modern jazz vocabulary and highly tactile improvisation. Bass clarinettist Chris Cundy combines a career between modern composition, alternative and pop music. Here he joins father and son rhythm section Paul and Saul Scott playing a set of new compositions. Between them they have collaborated with The Blind Boys of Alabama, Fatoumata Diawara, Little Annie, Denys Baptiste, and Robert Mitchell. Cundy also works with Canadian indie-pop band Timber Timbre and has made TV appearances including Later with Jools Holland and Top of the Pops.